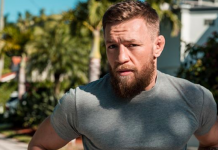 UFC lightweight champion Conor McGregor is the biggest star in MMA today. Former welterweight champion Georges St-Pierre, who is returning to action for a middleweight title fight with Michael Bisping at UFC 217, was previously regarded as the sport’s biggest star himself. Given that McGregor and St-Pierre are now both actively competing, and that they’ve both competed as welterweights in the past, a possible scrap between them is frequently discussed. This fight would register as one of the biggest fights in UFC history, if not the biggest fight in UFC history period. Based on Georges St-Pierre’s definite size and strength advantage, and his incredible grappling skill, many commenters seem to be leaning in his direction when it comes to predictions for this potential showdown. 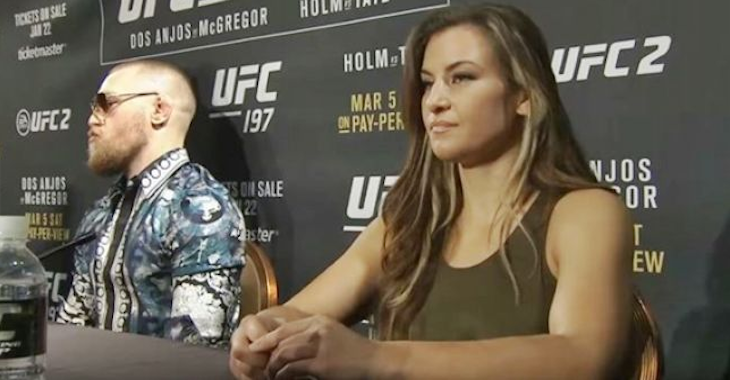 Former UFC women’s bantamweight champion Miesha Tate, however, is leaning toward McGregor. Tate explained why she favors McGregor over St-Pierre on a recent episode of MMA Tonight on SiriusXM Rush. 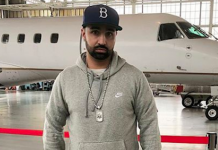 “Conor McGregor, I’ve underestimated the guy a number of times, thinking he wasn’t going to win some of the fights that he won and he did it,” she said (h/t MMAFighting.com). “The man is truly in a league of his own. When it comes to his game planning, when it comes to his trash talking, when it comes to getting inside people’s heads, nobody does it better than Conor McGregor. So I absolutely would not count him out in a fight like that. “I think the speed favors him. 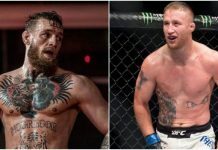 I think he has great striking and I think the fact that GSP’s been out for so long, I think Conor McGregor can put together a strategy to beat pretty much anybody and I think the matchup actually favors Conor. 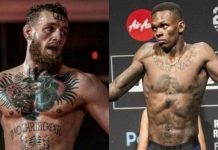 “I know that sounds crazy but dude, crazier things have been said about Conor and he’s done it. He literally predicts his exact what he’s gonna do in every fight. When he lost to Nate Diaz, I thought he was gonna lose again and he came out and he had the right game plan. He’s just brilliant. He knows how to figure out people. Not to mention, GSP has never had to deal with someone’s berating, that constant mental barrage that Conor McGregor does. Something is there. 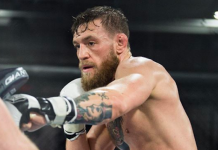 People haven’t quite figured it out but there’s something, an element that Conor McGregor adds that’s not just his skillset. He gets inside people’s heads and he ruins them before they even step inside the octagon. To say that he couldn’t do to GSP when he’s done it to everyone else, it’s insane to think that he couldn’t do that. Who do you think would win a fight between Conor McGregor and Georges St-Pierre? Do you agree with Miesha Tate? 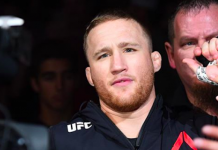 This article first appeared on BJPenn.com on 9/26/2017.